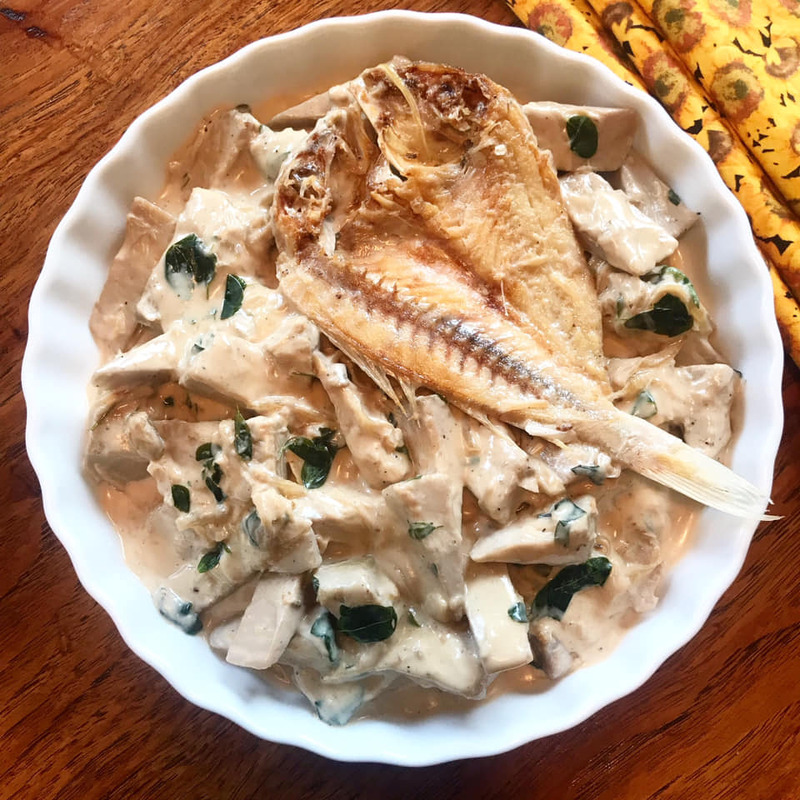 Ginataang Langka with Daing is a Filipino vegetables dish that is so delicious and made with langka (green jack-fruit), dried fish and stewed in coconut milk. 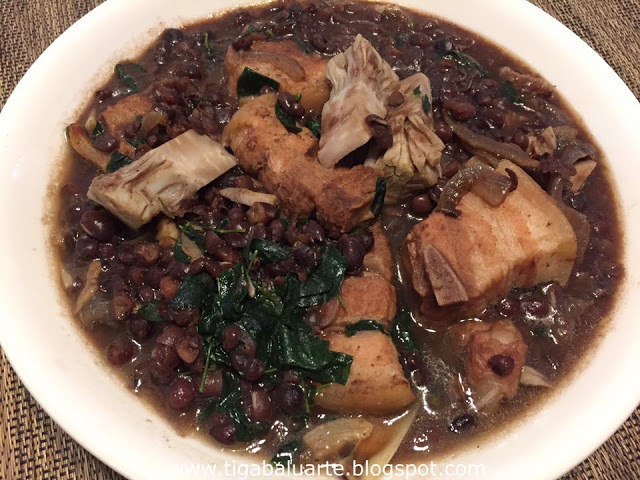 This Ginataang Langka with Daing is also cooked with Malunggay leaves. Ginataang Langka with Daing is a simple and delicious Filipino dish where langka is cooked until tender and coconut milk is added. 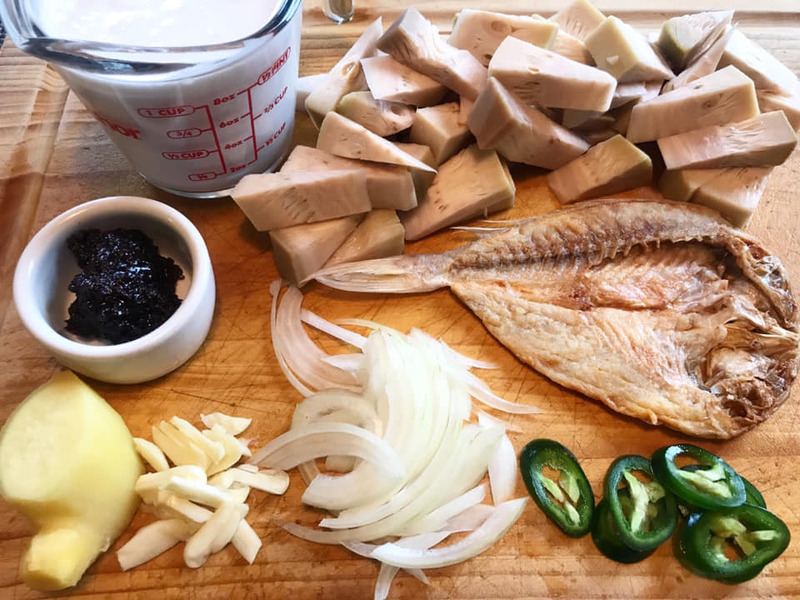 With this recipe I fried the daing (dried fish) half way first before adding to the simmering coconut milk and it added more flavor to the dish. 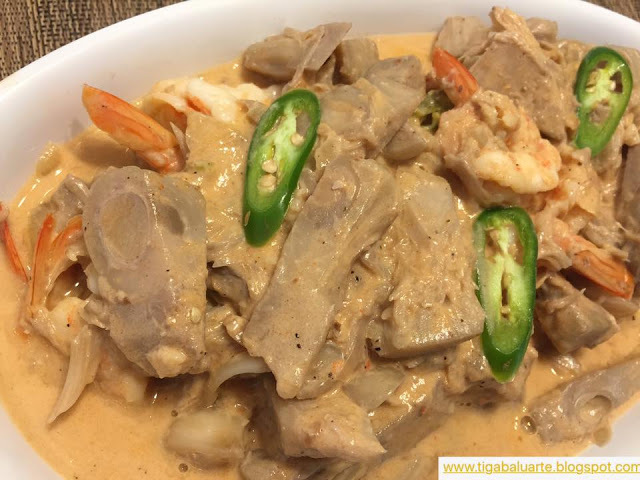 Ginataang Langka can also be cooked using shrimps, dilis or pork. Add some chili peppers if you want it spicy. 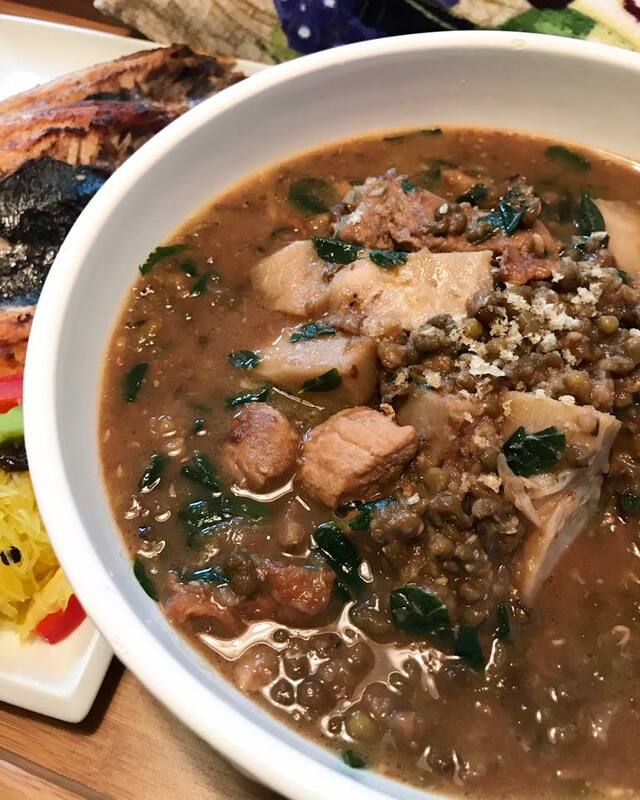 Ginataang Langka with Daing is a dish often served in Filipino household specially in the Philippines. 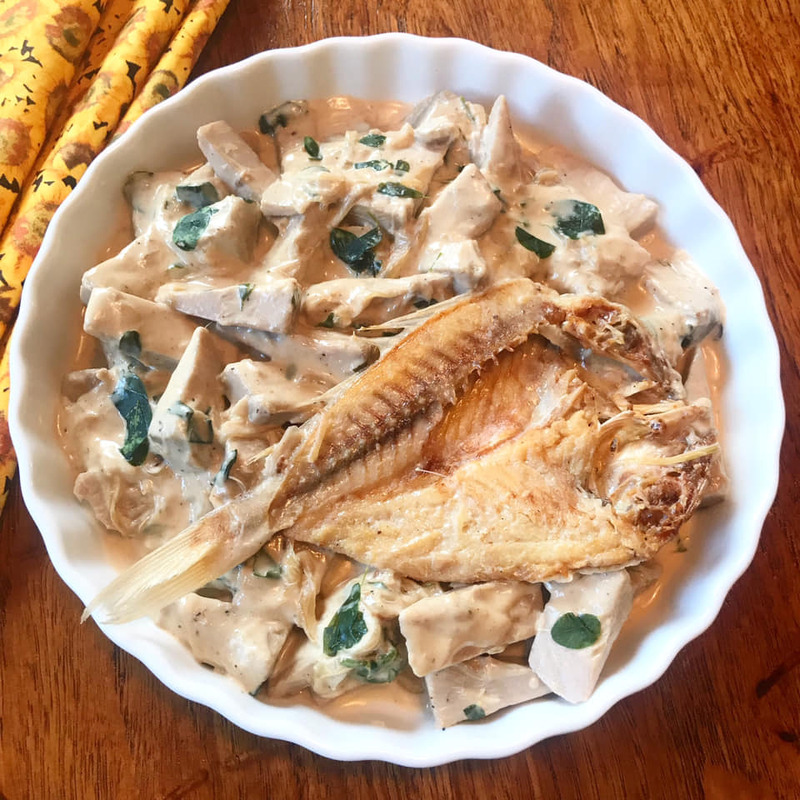 Give this creamy and flavorful Ginataang Langka with Daing recipe a try. Don't forget to check related recipes below by clicking on the name link below the picture to see complete recipes. Heat wok and add cooking oil. Fry daing for a minute on each side. Remove from wok and set aside. Add onion and garlic, stir and cook until aromatic. Add chili pepper, ginger and stir. Cook for a minute. Add bagoong and stir. Cook for a minute. Add langka to the wok and stir. Cook in medium heat for 2 minutes while stirring frequently. Add water to the wok and continue cooking until langka is fully cooked and soft. Add coconut milk and stir. Simmer in low heat for 5 minutes. Add fried daing back to the wok and continue to simmer for 3 minutes. Add malunggay leaves and stir. Continue to cook for few minutes or until malunggay is fully cooked. Season with salt and ground pepper. Stir and remove from heat. Serve hot over steamed rice and enjoy!